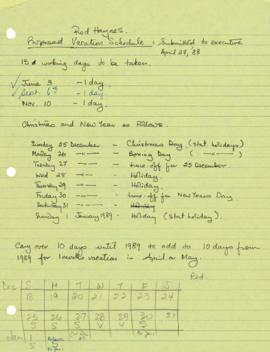 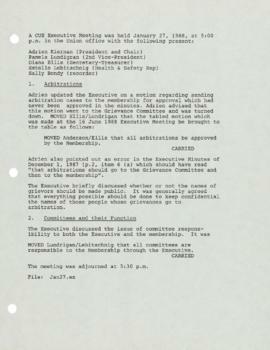 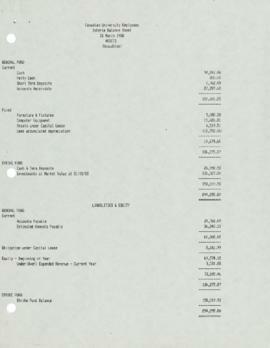 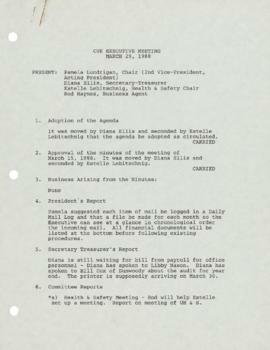 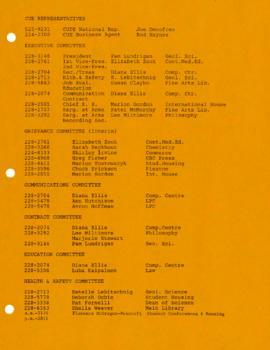 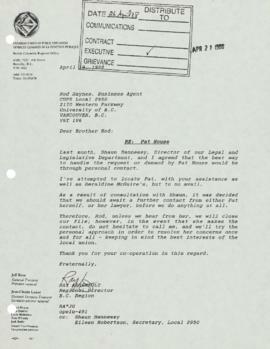 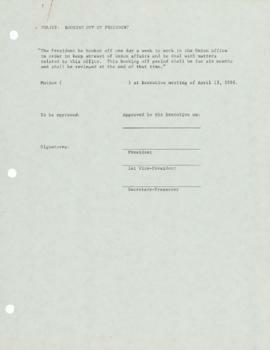 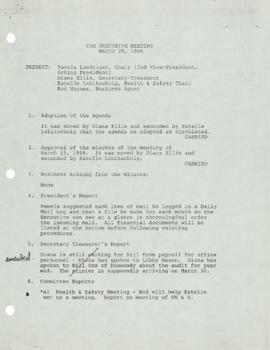 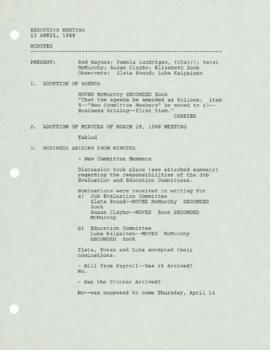 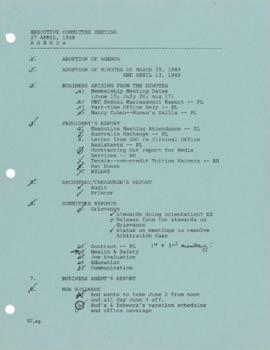 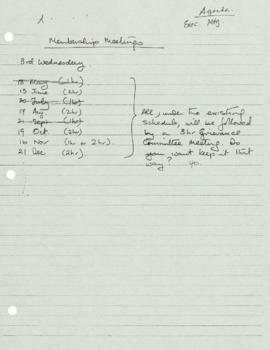 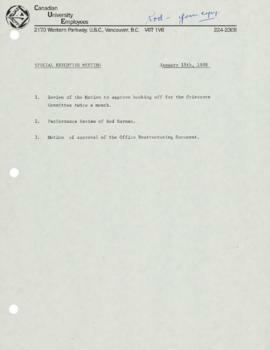 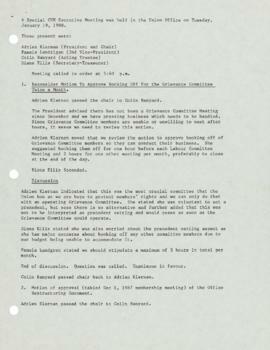 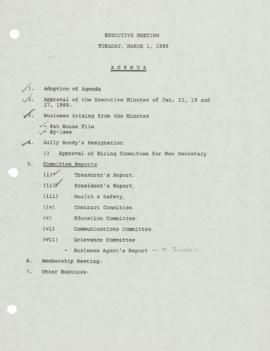 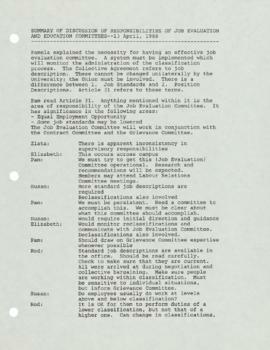 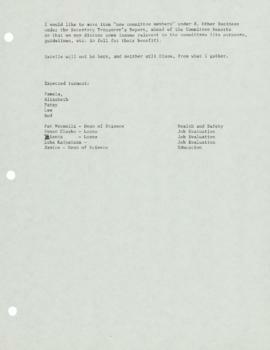 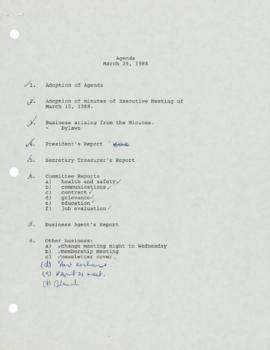 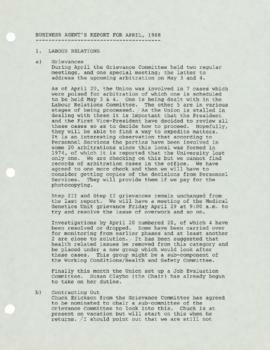 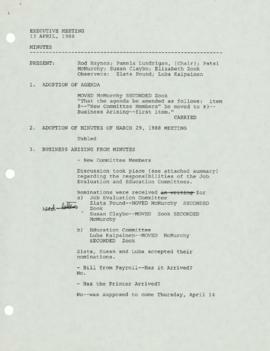 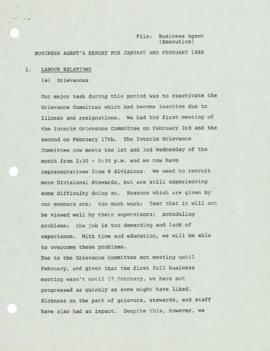 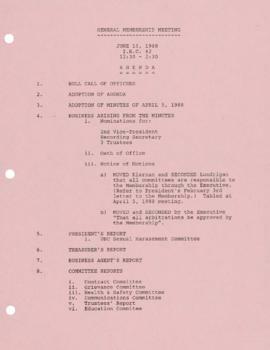 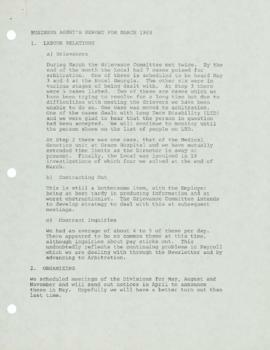 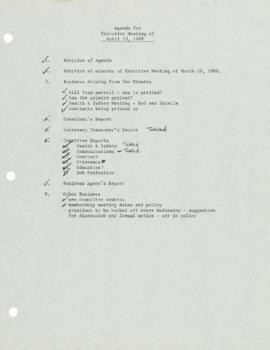 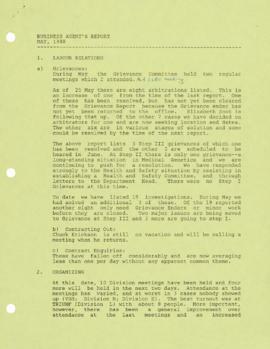 File contains meeting minutes and other records dated June 15, 1988 to January 19, 1988. 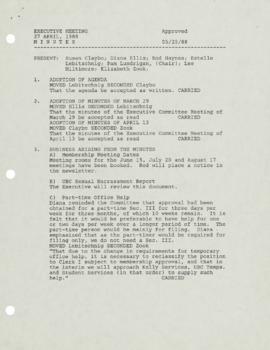 Topics discussed include executive nominations, labour relations, grievances, contracts, organizing meetings, office staffing, health and safety, communications, education, the Australian job exchange, committee responsibilities, and bylaws. 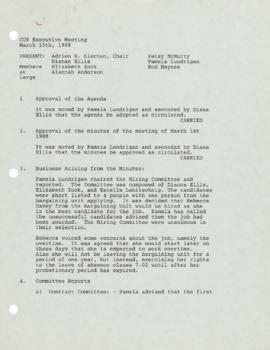 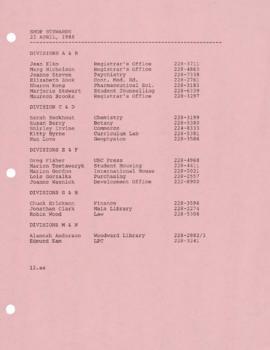 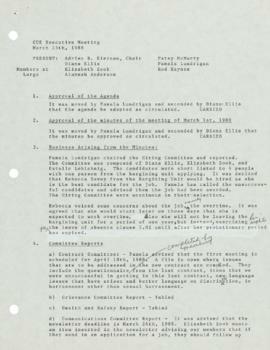 File also contains agendas, notes, a list of CUE executives and shop stewards, correspondence, an interim balance sheet dated March 31, 1988, sample forms, list of Butterworths publications, and a Canadian Labour Congress information package.